Mainstream cruising is mainly tipped for families, offering waterparks and kids’ clubs galore which are fun for your young ones and multi-generational groups. However, if you’re a couple or group of adult friends this can be less appealing but don’t let this put you off! 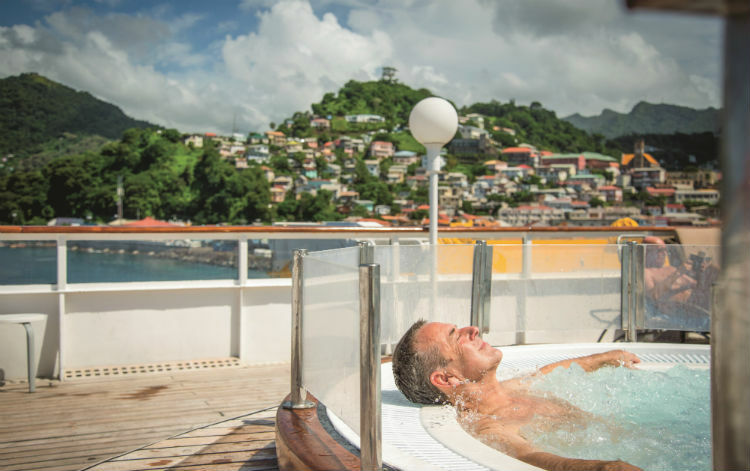 There are a number of cruise lines which offer their own line of adult-only sailings just for blissful relaxation and leisurely time in the sun. Which cruise lines offer adult-only cruises? 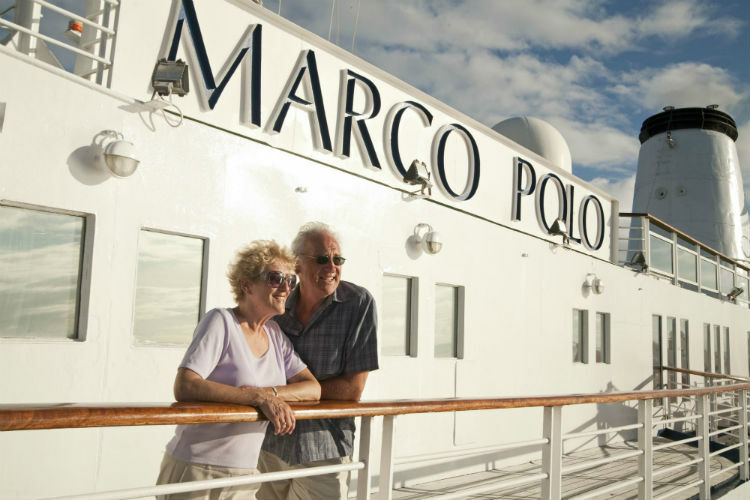 Cruise & Maritime has the Astoria and Marco Polo sailing exclusively for adults, with Astoria carrying an intimate 550 guests and sailing from the UK, and Marco Polo carrying 800 guests around picturesque ports of Europe. Cruise and Maritime pride themselves on offering a traditional cruising experience, with emphasis on the home-from-home style service and attention to detail which provides guests with a stress-free experience. Though no ship is exclusively adult-only, Fred. Olsen offer a selection of itineraries which are just for adults over the age of 18. These vary between romantic mini cruises to exciting adventures, all in the company of like-minded adult guests. Each of the Fred. Olsen ships offers fine-dining, personal and attentive service, as well as fantastic entertainment. Itineraries are varied and perfect for every adult adventurer to enjoy. Arcadia and Oriana are two of P&O’s ships which are exclusively for adults. Both are a mid-sized ship and sail on voyages such as world cruises, the Caribbean, Europe and Canada. Arcadia features glass-fronted lifts, luxurious spa and salon, as well as over nine places to enjoy a tipple. While Oriana offers plenty places to unwind with like-minded guests and a traditional cruising experience at its best. 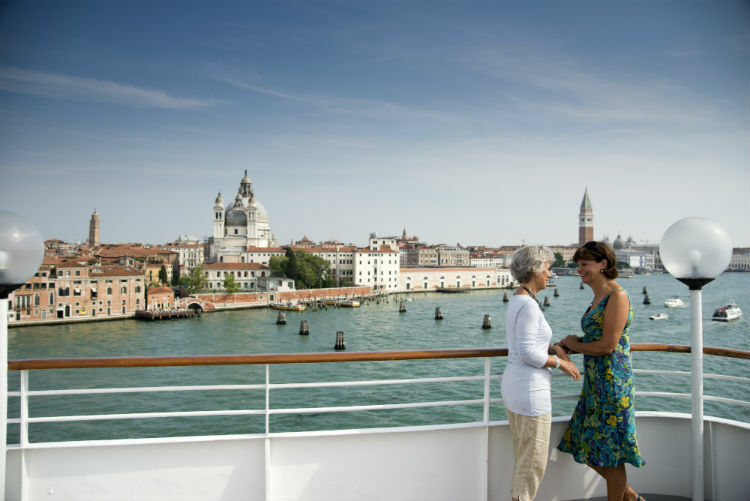 Focused on the over 50s, Saga cruises are perfect for guaranteeing 100% adult guests. There are three ships to choose from; Saga Sapphire, Saga Pearl II and Spirit of Discovery. 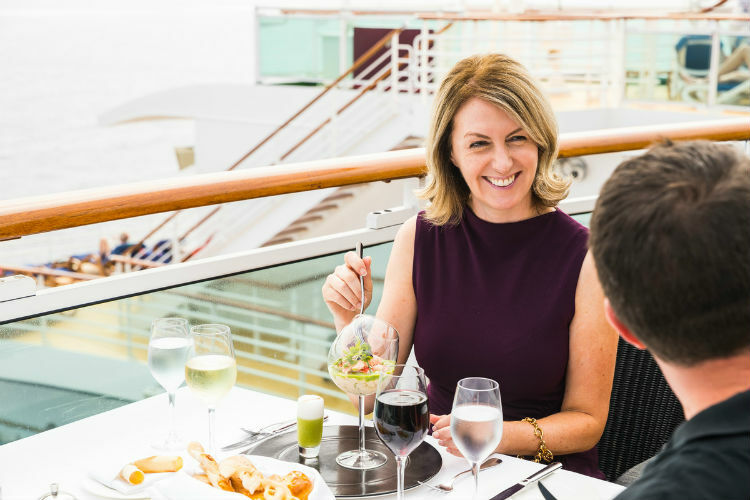 Saga cruises allow you to enjoy a more ‘grown-up’ atmosphere, complete with amazing destinations and unforgettable experiences. Which cruise lines offer adult-only areas? Though they aren’t strictly adult-only across the ship, Princess Cruises offer secluded areas on-board for adults to relax and take a break. 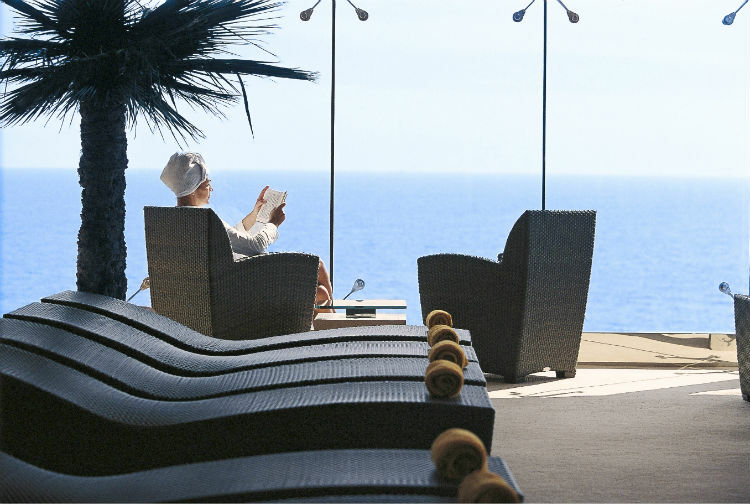 The Sanctuary presents an ocean of calm for Princess guests, including al fresco massages, refreshing drinks and snacks, as well as attentive service from dedicated Serenity Stewards. 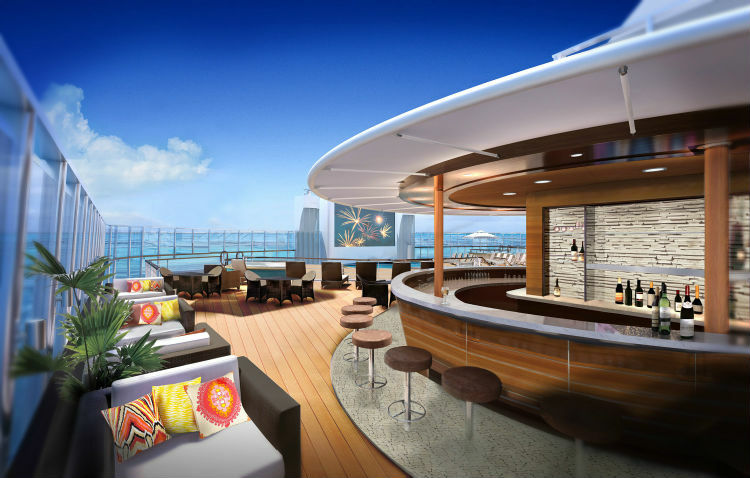 This cruise line also offers adult-only areas in the Solarium, where adults can relax in this indoor retreat, complete with whirlpools, swimming pools, lounge area and cascading lagoons on selected ships. The Solarium is featured at the front of every Royal Caribbean ship, with a crystal clear canopy area offering fantastic views of the ocean. The Posh Beach Club and Spice H20 on deck 15 is the closest Norwegian Cruise Line comes to adult-only cruising. Featured on-board Norwegian Breakaway, Norwegian Getaway, Norwegian Escape, Norwegian Bliss and Norwegian Epic. During the day, enjoy a quiet escape with hot tubs, loungers and a waterfall. At night, the venue is transformed into an open-air dance club. Norwegian Epic also provides a full bar, water spritzers, cold towels and fruit skewers. 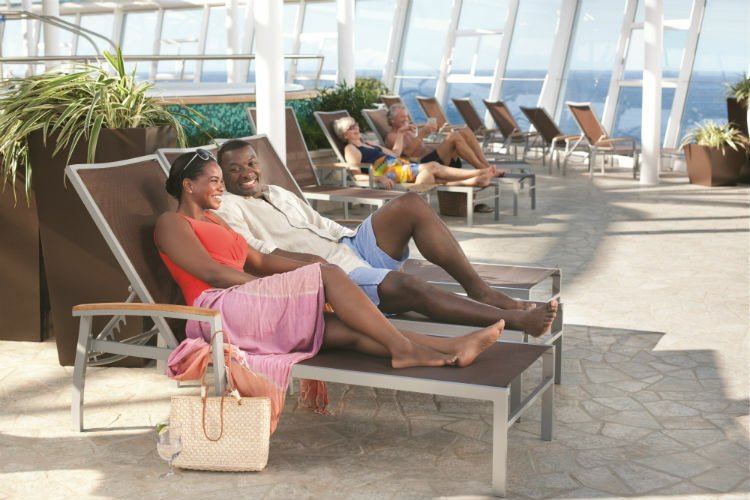 On the contrary to most of Carnival’s typical outdoor spaces, Serenity offers a calm, peaceful space entirely kid-free. Guests must be over 21 to enter and enjoy the plush loungers, oversized umbrellas and pools. This venue is available fleet wide, aside from Carnival Triumph. 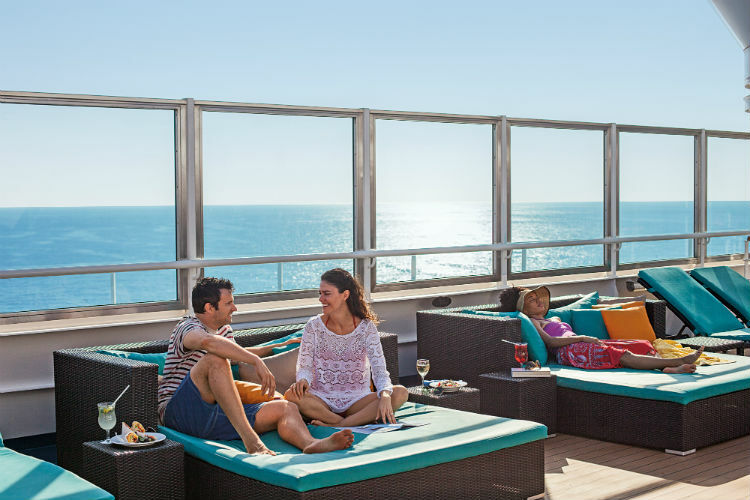 Carnival Sunshine’s Serenity venue spans over three decks and features a waterfall, while both Carnival Vista and Horizon offer a salad station free of charge on sea days. Visit deck 18 on MSC Fantasia-class ships and you will find Serenity, featured on MSC Fantasia, Divina, Preziosa, Splendida. This area, though not strictly adult-only, caters more to an adult audience so not many children visit there. Enjoy express 20-minute reflexology, facial treatments and massages; head to the Tiki Bar for a smoothie; or watch the sunset from one of the two private hot tubs. The MSC Yacht Club also offers exclusive access to specific areas of the ship, including restaurants, pools and the spa. Why choose an adult-only cruise? If screaming children, loud music and colourful waterparks aren’t on your holiday wishlist, seeking out an adult-only cruise ship will ensure you have the serene and relaxing cruise of your dreams. Adult-only cruises offer a more contemporary way of sailing, without hot tubs being commandeered by youths or busy poolside sun loungers with children here, there and everywhere. 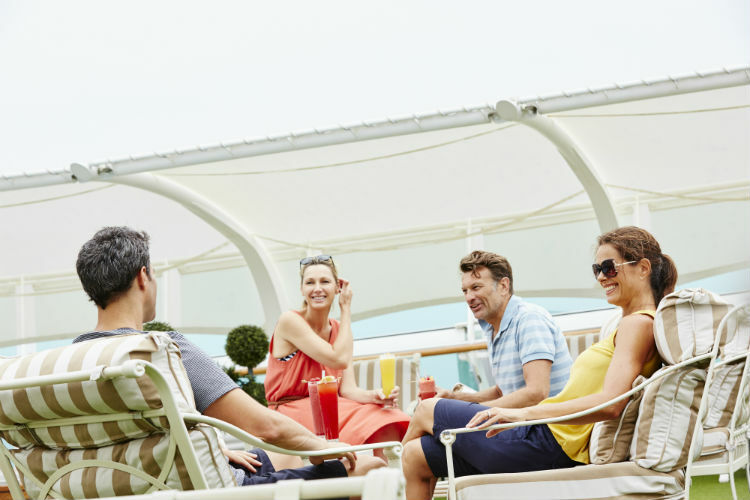 For those who long to read in the sun, relax in the pool and enjoy a holiday away from splashing water and dinnertime whines, an adult-only cruise is a blissful getaway from the daily stresses of life with little ones. Call our Cruise Concierge team on 0808 1234 118 for advice and assistance with booking an adult-only cruise to stunning destinations aboard one of these phenomenal ships. Been twice, T. Concierge balcony. Small boat. Hi Peter, I’d recommend you give our Cruise Concierge a call on 0808 1234 118, they are experts in finding the best sailing to suit your preferences and offering the best prices! 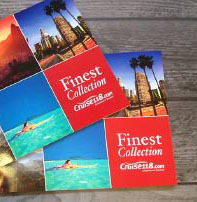 They will be happy to find you an excellent cruising holiday. Thanks, Emma.